Is It Safe To Use Bitcoin in 2019? Is It Safe To Use Bitcoin? Is it safe to use Bitcoin? Can you trust a decentralized computer network with your money? Most people still treat Bitcoin as a mythical pandora box which contains thieves, money launderers, scammers, terrorists, and the remainder of the worst people in the world. However, outside of the realm myths and fantasy, such statements are entirely false and misleading. Thousands of programmers develop the Bitcoin network every day, and mostly for free in their spare time, as it is an open-source community-driven project standing for personal freedom and financial inclusion. It is not perfect yet, but it gets better every day. The answer to the question "is it safe to use Bitcoin" is yes, but it also depends on how well can you manage your security. In its ten years of history, Bitcoin, when used and stored correctly, has proven itself to be a reliable financial instrument when it comes to storing value, secure borderless peer-to-peer money transfers, and accessibility. The protocol itself is sturdy enough to withhold even the most sophisticated attacks, and most of the bad news surrounding Bitcoin hacks are due to the third-party service providers like centralized exchanges, wallet developers, or private key mismanagement. Of course, as with every other type of money, there are certain issues Bitcoin users need to know if they want to protect their wealth. These include Bitcoin price volatility, secure storage of cryptocurrency, use of insecure third-party services, and cybersecurity threats like hacking. At the same time, we could also raise a question whether it is safe to use dollars and other traditional finance tools, as most of the money laundering and other nefarious activities are still conducted via banks. 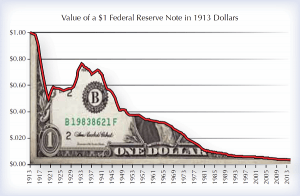 The conventional financial systems have proven to be prone to economic bubbles and crises, and the government-backed money tends to significantly devalue over time. This is why we buy Bitcoin. Therefore, it is safe to use Bitcoin, especially if you're willing to take responsibility for protecting your funds on your shoulders. And since the technology is still in development, it requires time and effort to learn how to handle it. So, how do you safely handle your Bitcoins? How to secure your Bitcoin? Rule number one is to take good care of your secret “private key” – the password for accessing and using your Bitcoins. (For more on choosing a wallet, following this link ). If the private key is secure and no one else can get to it, then your Bitcoins are safe. But keep in mind that if you lose your private key, even you yourself won’t be able to access your funds. Choose a reliable wallet that fits you, as it will act as a bank account to access your funds. They can be stored both online or offline. 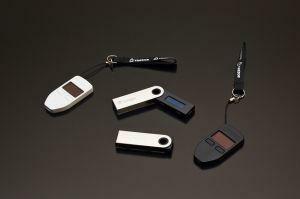 Secure Bitcoin hardware wallets by Ledger and Trezor. When spending or exchanging your Bitcoins, it’s important to choose the most reliable and trustworthy services. If you fall victim to fraud using a traditional bank card, laws and regulations may help you recover any losses. For Bitcoin, such protection is yet to come. Also, remember that payments with Bitcoins are non-repudiable – once you pay, the money’s gone. If you make a mistake – say you pay USD 222.2 instead of USD 22.22 or send the Bitcoins to the wrong address – you can only rely on the goodwill of the receiver to get your money back. You may have heard about the anonymity Bitcoin users enjoy. Well, it’s only partly true. While everyone can track any wallet and its content on the network, they can’t identify the owner of the wallet. 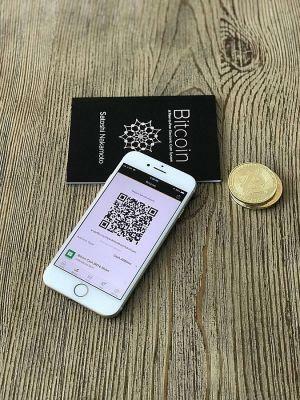 Bitcoin wallets and transactions aren’t linked to personal data or identity. But there are alternate ways to find out the owners identity. For example, you may be required to reveal your identity when registering on a cryptocurrency exchange. That way all your transactions from the exchange may be traced back to your wallet. Still, if you need stronger privacy, the TOR browser, and other privacy solutions. There are many privacy-oriented Bitcoin wallets, too, as well as other cryptocurrencies with integrated privacy and anonymity features, such as Dash, Monero and Zcash. Other Bitcoin risks are somewhat hard to control, but it’s still important to know them and follow the latest news since the technology is still in development. One theoretical risk is a 51% attack on the Bitcoin blockchain. In theory, if a group of Bitcoin miners controlled 51% or more of all the hashing power running the Bitcoin blockchain, they could potentially undo several latest transactions. In fact, there was a moment, in 2014, when the mining pool Ghash.io came close to obtaining 51% of the whole Bitcoin network. But then some members of the pool voluntary left, decreasing its share and influence. Still, Bitcoin experts believe a “51% attack” is unlikely as its cost would exceed the potential benefits of the attack, and it would do little to no harm for more than 99% of the blockchain users. Such attack can’t be used to steal Bitcoins or change older transactions. It affects only the most recent transactions, and the efficiency of the network could be disrupted for a moment, too. Essentially, any 51% attack would last for a short time before being quickly fixed by the Bitcoin community. The biggest damage would be done to the cryptocurrency’s image. 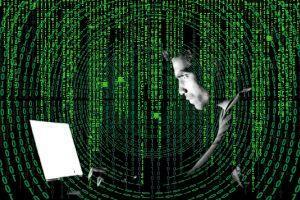 Hacking poses a bigger risk when it comes to cryptocurrency exchanges, most of which are not regulated and, as history has shown, are hacked quite regularly. The threat of a hack of the Bitcoin network may become real once a quantum computer is built, as it would be much more powerful than today’s computers. But building it is expected to take years, and ways to withstand such attack is already in the works. Another key issue to watch are regulations. More and more countries are likely to start introducing Bitcoin laws, which could affect how the cryptocurrency can be bought and spent, its legal and tax implications. Alongside the rules, new regulations may also grant Bitcoin users more rights, protection, and clarity. In addition to the precautions, make sure to see these ten tips on Bitcoin security. If you follow the most common Bitcoin security rules, you are likely to use Bitcoin in the safest and most secure manner. After all, Bitcoin itself constitutes the safest money protocol ever built. Nevertheless, there are third-party services and individuals don’t use adequate measures to secure themselves. Stay safe! Previous - What is Bitcoin?